Happy Holidays…It's The Calm Before the Storm. So here we are. It's less than five days until Christmas and everything feels like it's slowed down a bit. I've actually had time to do things like shop for gifts, call my dear mum, and I even got to take a shower. I know, right? It's like a little slice of Heaven. I guess it's more like the calm before the storm because on the other side of December is a production schedule so ambitious it's bordering on ominous. 1 new EP, 2 new artists, 3 new videos, and 10 new singles,…all in less than 6 months. That's right…6 MONTHS! This means that we will more than double our output from last year in HALF the time. Given that this doesn't cover the the 2nd half of 2014 we may end up TRIPlILNG last years numbers by the time it's over…staggering. I think we all feel a combination of fright and excitement. As I sign off I want to thank every one of you from all of us at PopRiot. We thank you from the bottom of our hearts for supporting the label, the artists, and the music. We're not exactly backing up truckloads of cash just yet. This is 100% DIY and we do this because we love it and we love the people we work with. So *raises glass* here's to a Happy Holiday, Merry Christmas, and amazing New Year to all of you…cheers! 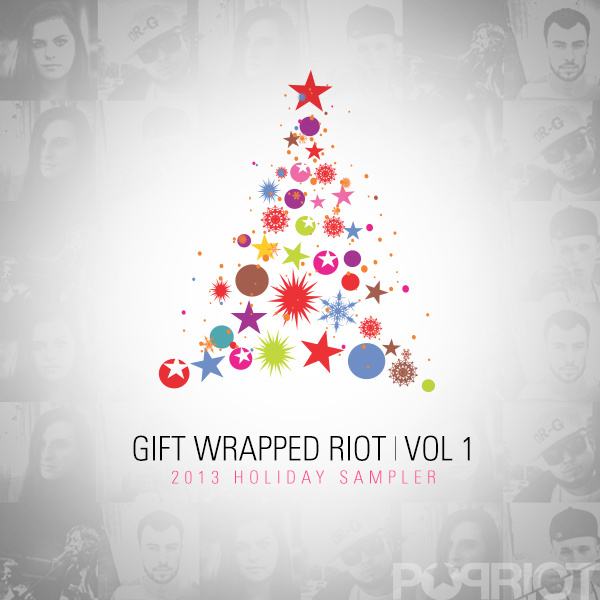 ***Download "Gift Wrapped Riot 2013" our VERY FIRST end of year sampler! 8 amazing songs for ONLY $5! Download it NOW and SHARE it with your friends!